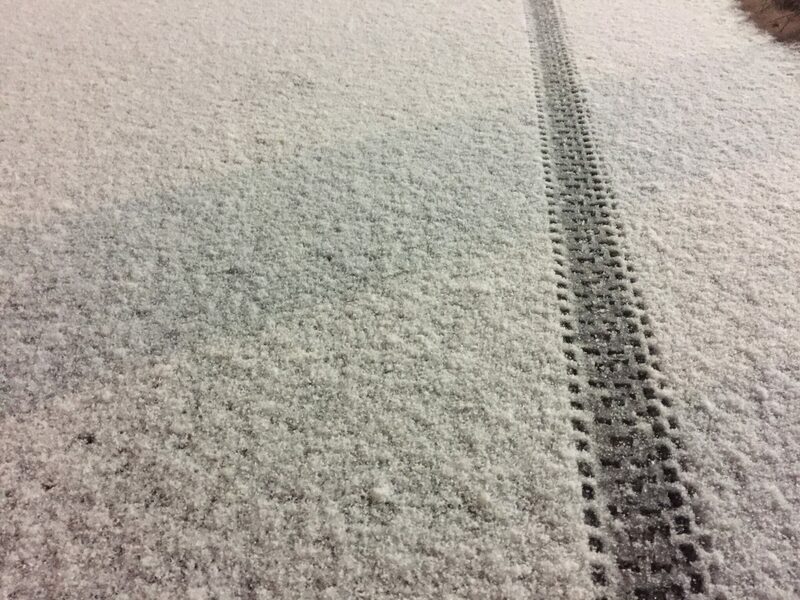 I had another photo but as the snow started falling, I couldn’t help but admire the bicycle tracks in the snow. We’re supposed to get a few inches by tomorrow. Love it.